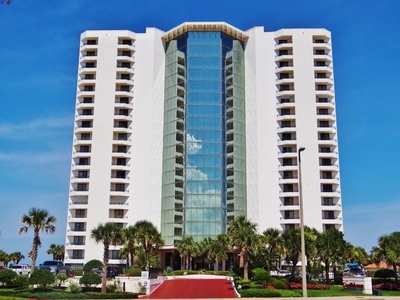 The Caribbean Condo is one of the most desirable condo buildings in Daytona Beach Shores. The 19 story complex provides spacious floor plans and private balconies for incredible coastal views of the Atlantic Ocean! You'll ooh and aahh your guests upon entering the grand atrium lobby with glass elevators. The Caribbean condo is ideal as a vacation home and a great income investment opportunity with a 2 week minimum rental.